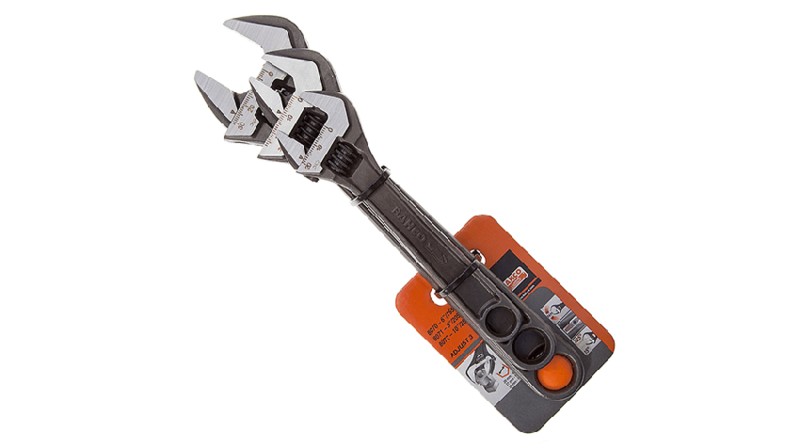 A set of 3 Bahco adjustable wrenches with phosphated finish in Model Numbers 8070, 8071 and 8072. Invented by Bahco in 1892, their quality is second to none. With no movement in jaws after selecting correct size. Exceeding ISO specifications the wrenches withstand high torque loads and the heat treated Swedish ' V' steel jaws give long life. The wrench head combines slimness for accessibility with strength for performance. Precision hardened and anti-corrosion treated. Solid spanners for any serious plumber/heating engineer. The adjuster is smooth and no wobble in the head. Just keep them clean and oiled and they'll last a life time. What’s not to love about these. They don’t slip, feel nice and heavy in your hand, and last forever if well looked after. Really can’t understand why anybody would use anything else. Best adjustables on the market. Jaws open wider than most other brands, and jaws are narrower/slimmer than most other brands. You'd be amazed how useful that is sometimes. 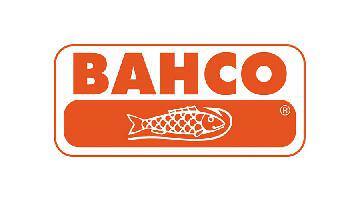 Highly recommenced, you won't go wrong with Bahco. Having been told about this bit of kit and in the same breath losing my one it was a no brainier really that I brought it. More then happy with it. Just re purchased these after losing my old ones last month. The only ones I’ve used and the only ones I would ever use not much more I can say. Bought these adjustables when I first started plumbing and they had virtually no wobble in the jaw been a couple years now and a lot of abuse, there's a slight bit more wobble so when they finally give up I'll defiantly get another set. Best spanner’s around. Not cheap but very much worth the money. Have had for years and still work like new. The only time you will need to buy new ones is if you lose them. Great spanner’s and really well made but it seems as if they are made to not quite fit the busy size you want. Almost as if it’s done to make you buy the next size up. The wide jaw version are a much better buy. Excellent tools , best quality and although not cheap they are my everyday tools and worth every penny. Easy to use and last forever until you leave them at a customers house and have to replace. Used to use cheap, unbranded spanners and had then jam and stop opening. Switched to Bahco and I'm not going back, good opening size and thumb wheel is nice and easy to use, very good quality build. As far as I’m concerned it’s the best spanner around. 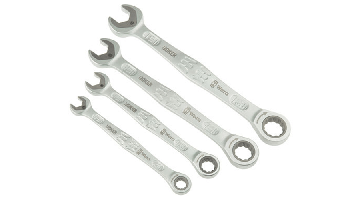 I’ve had my 2 spanner’s, (8inch and 6inch) from day dot and they’ve never caused me any issues. I find if you oil then occasionally that’s all the maintenance they need. I’ve had them buried in dust and and used them as hammers and they’ve never failed on me. Tight wheel and no slip. Overall fantastic tool! Won’t use anything other than bahco now, the build quality is a cut above anyone else’s. Price is bang on for quality aswell. I would say by far the best shifters on the market. Wouldn't buy anything else. Build quality is as you expect from Bahco. Top quality adjustable they are expensive but they just seem to last for ever so good value for money in the end. Excellent set of wrenches never let me down, very strong and extremely well made the only question is do you leave the Orange tab in or take it out LOL. Cracking set of adjustables that have a good balance when you hold them. They feel good quality and are really solid. I have always used bacho as they last for a long time if looked after. Really no cons with these, strong, durable and trustworthy. As a tradesman it’s essential you have tools that won’t let you down, I find these to be in that category. Great adjustable especially the smallest one. Maybe I most used tool. Feels like losing a friend when it disappears down a floorboard or slides out of your pocket. Brilliant tool, quality reliable and definitely worth the extra money. Haven’t seized up at all like cheaper and can see them lasting years to come. Bought these from the real deals in november. Theyve been brilliant to use and dont seem like theyll seize like cheaper models. Excellent tool. Never fails me, my right hand in the plumbing trade. Got a set of two and they work very well no complaints. The best adjustable spanners that money can buy you. Gread build quality and very smooth adjusment. They dont rust either. Don't waste your money on anything else. Best in class when it comes to spanners. There is nothing that compare to these little beauty's. I use the Bahco grips also and wouldn't be without them. Value for money is good also. Bought these to replace my old set of adjustable spanner’s. Excellent build quality and very durable. Worth the extra money. Bahco make the best adjustables I have every used. Very easy to use, thin jaws mean the can access areas where other brands may struggle. Brilliant set of spanner’s, wouldn’t use any other brand, they get in to tight spaces and don’t slip like cheaper brands. An example of spending a little more giving you loads more. They get into tight spaces other cheap adjustables can’t and don’t stretch apart as easily when “putting your back into it”. Great product. Ive used other brands in the past but after buying these adjustables i will never go back. Ive used thesi have always used these and will never use another brand. Good build quality ,easy to use and dont break. Best adjustable scanners you will find, had mine years, even bought back ups on deals but my originals still seem to keep on going! Top quality built to last would recommend all day long have a couple of the smaller spanners along with the larger size. Top quality reliable spanners. Cannot go wrong with these. The adjusting mechanism never seems to get stuff or jammed no matter the punishment you give them. The adjustable i have used since beeen an apprentice and never tried any others. When i think adjustable i think Bacho! My adjustable of choice, these are awesome and the wide jaw ones make life easier. They get abused chucked in the bag, rusted up and bashed about but have lasted. Ahco in my opinion make the best adjustable spanners available. Never slip, solid build and will last forever. Now that's an adjustable spanner you can trust. Non slip and it doesn't lock. Well, when it does, it's time to replace but again, the tools last year's. My dad always says buy cheap buy twice with tools. It's true with these I've still got the ones I used in college in my install bag! Wouldn't even try anonther brand! Love my bahco spanners. Used them for over 10+ years. They feel solid in your hand. Buy these, you won't be disappointed! Perfect for what I need. Pretty expensive but I have a lot of Bahco tools and always found them to last. Great product have a set in each of my toolboxes in work and in the van. Wouldnt leave home without them ans being bahco they are great build quality and last forever as long as they are looked after. Brilliant spannors, definitely made to last a lifetime. Only use these adjustables and highly recommend them. Brilliant value for money. Best adjustable wrench on the market by far. Only replaced a set recently as I dropped them down a wall cavity. The slimline jaws are excellent where space is tight. Easily the best adjustable spanner on the market. I've had my set for years and years now and they never let you down. Not like those budget garbage ones. Great value and quality for the price. Never buy any other adjustable. Very ergomomic and comfortable to use. They can take a good hammering too! The original and best adjustable out there. Not a lot needs said about this tool apart from you get what you pay for. Great design, with a smooth movement and very little wobble when engaged on nut, well worth the money. In my opinion best shifters on the market, very sturdy and reliable. The set of 3 will always be of use whether you need the leverage or you need to get into small spaces. Only use Bahco equipment due to its durability, well made, quality tools. I won't buy anything else. One of my favourite manufacturer of hand tools. Have several items in my kit by them. Never an issue with anything. Highly recommended. Great tool never enter any house without one in my pocket for years I've had a mine and it's always been a good. After using my mates adjustable on a job I went out and got a set of these baby's !! Best build quality! If you shop around you can find a bargain! So fat the best by far I have had the pleasure to use! The price reflects the quality and let's be honest if you get what you pay for your happy. Build quality is great, the handle feels great to hold and the adjustment is smooth like butter. Easily the best set if adjustibles I've used, can't beat them for its quality and price. Wouldn't use anything else to be fair. Had these over 10 years and still as good as new. Flawless in my opinion. What can I say...it's Bacho. Good reputation and solid built tools. A little on the expensive side some might say, but you get what you pay for and with these they are worth the money. Solid feel and great grip. I've used Bacho for many years now and they always lived up to the expectation. Best spanners out there, quality workmanship and I've had my set for the best part of 5 years and still going strong. These are the best on the market, had a 6" one for over 5years and still as good as the day I got it. Love mine, best by far. Good quality and will last. Not the cheapest, but worth every penny.....A must have! These are the only adjustables i use and they are by far the best and all my mates use them aswell. Quality product. So many bad brands out there with these. Really great set seem like they will last. Have had these for years and still love them. Great quality and nice to use. Well worth the money. I have to expand on my star ratings so they open and they close. Job done!! The only adjustable spanners worth buying. Best shifters on the market. Best adjustables out there. Love mine and will last an age if looked after correctly. Good adjustable spanners been using them for years. Best in the business, pretry certain every engineer will have at least one of these already. Very good quality, although pricey but will last a lifetime. A must have for any trade really. Best adjustable spanners money can buy, have had mine for around 15 years, and imagine I will still have them when I retire (providing they don't get pinched).